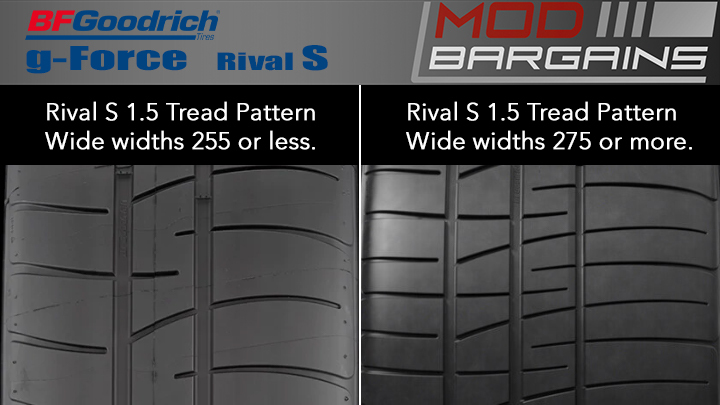 The Rival S 1.5 is an evolution of the BFGoodrich Rival S. The Rival S 1.5 features an updated construction process aimed at increasing the steering precision and transitional response. 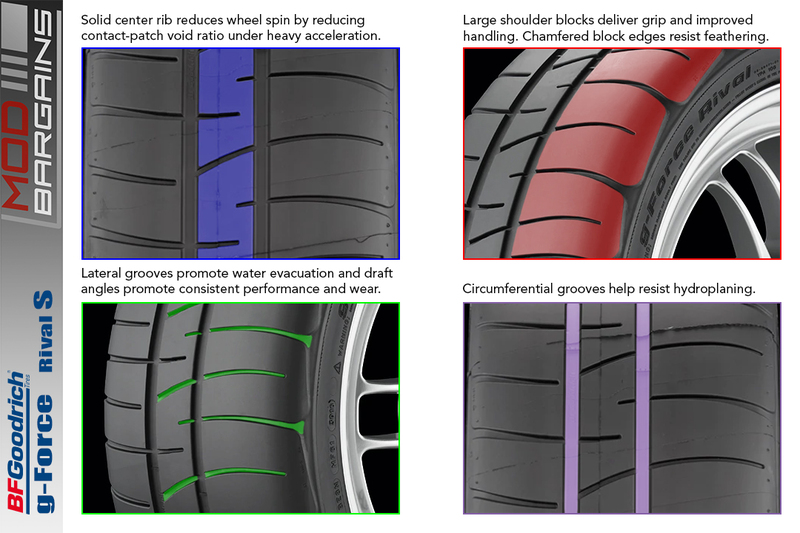 The Rival S 1.5 features the same tread compound as its predecessor, which is designed to offer maximum dry and improved wet grip. Fast warm up in competition conditions. 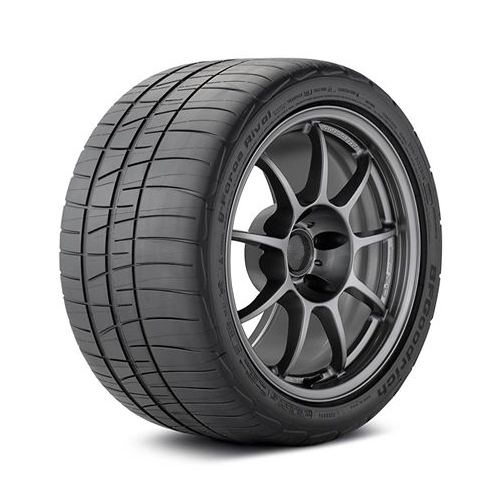 Large outer shoulder tread blocks and BFGoodrich's Extreme Tread Edge (ETE) design wraps the tread compound farther down the sidewalls to create more predictable feedback and maximum cornering grip. Chamfered block edges resist feathering under extreme cornering and braking. Lateral grooves are given draft angles promote consistent performance and wear. BFGoodrich's Performance Racing Core reinforces the internal structure which reduces flex to increase steering response. The tread is stabilized by twin steel belts and an Equal Tension Containment System (ETEC System) of spirally wrapped nylon to optimize the tire's contact patch and traction at speed. G-Control sidewall inserts impove sidewall stiffening to promote steering response.